Seven in 2017: Will My Kitchen Rules be its unstoppable force again? For its 2017 Upfront, which the Seven Network actually brands NewFronts, the broadcaster returned to its production facility at Everleigh in the Media City building which is shared by Seven, Pacific Magazines and NEP Australia. The audience was invited into the former Rio Olympics studio with stadium seating set up at one end. After the razzle dazzle of some previous Seven programming events, it almost seemed a subdued showcase. 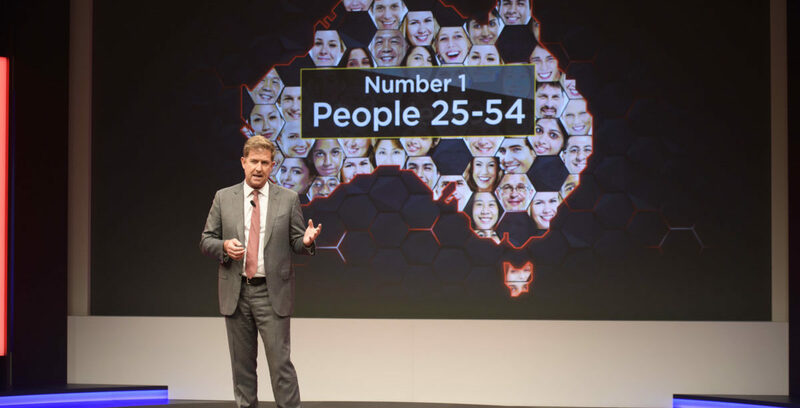 Speaking post-show to Mediaweek, CEO Tim Worner didn’t agree that the 2017 upfront was quieter than Seven’s past few preview events. “Our results are on the scoreboard and they speak for themselves,” he stressed. “It would be incorrect to call it subdued. We are certainly proud of what we have achieved and we are also very cognisant of not celebrating what has happened in the past. We are very focused on what we are going to do in the future. 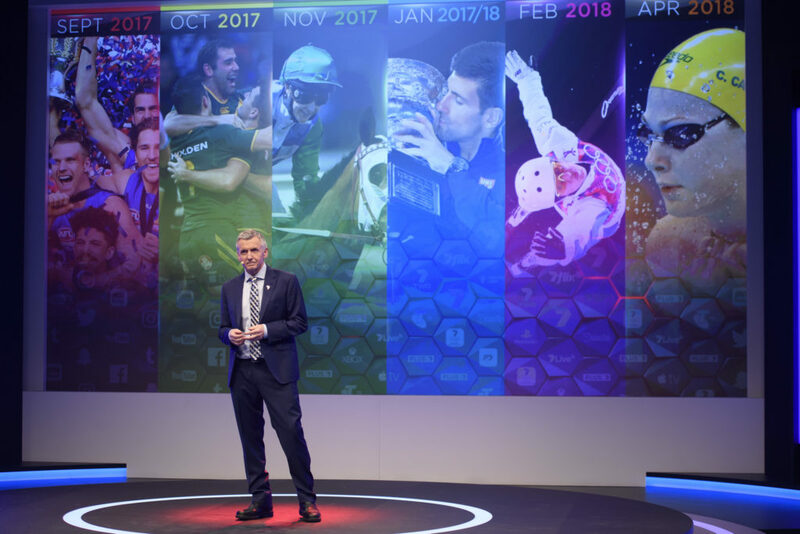 Worner was talking about the 2017 schedule that was in part revealed, plus the extra six months of major sport that starts with the 2017 AFL Finals next September. “That will be awesome,” he enthused. He also didn’t agree with any assessment they had few new shows. “There actually were quite a few new shows. Keep in mind this time last year we did not have First Dates in our presentation and we did not have Seven Year Switch in our presentation. In their demos they are the biggest two new shows of the year. Worner has always been very forthright with his view there is no crisis in TV with declining audiences. However, the OzTAM overnight data is clearly showing a trend of significant declines. As a former producer, Worner has always been very proud of Seven’s in-house production arm – a business that is now going global with JVs in the US and Europe. 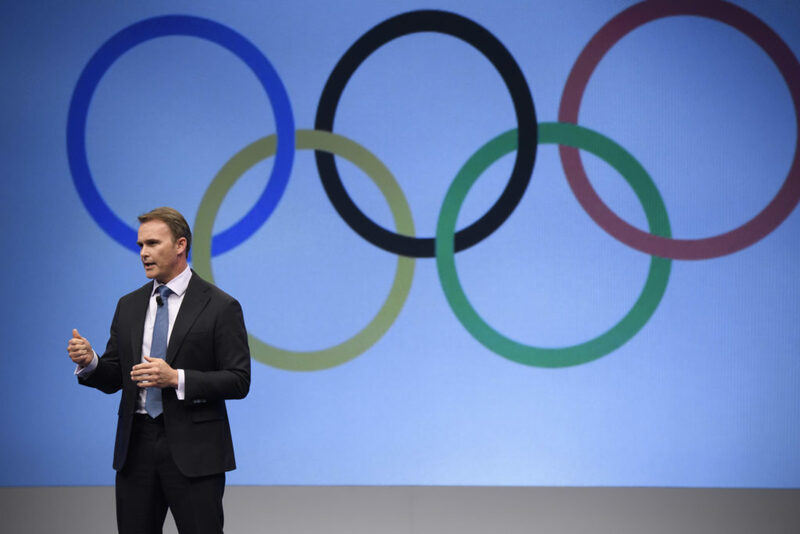 “That has been a big difference between us and our competitors for close to eight years. We initially took a few steps down that path…now we are marching down the path. All of Australia should proud of the achievements. As to not needing too many more new shows, director of programming Angus Ross told Mediaweek Seven is bringing back many programs from 2016. “As well as using My Kitchen Rules to launch First Dates and Seven Year Switch, we were able to use it to launch Wanted. In the back end of the year we had more 800 Words and the #1 new drama on television, The Secret Daughter. With some of Seven’s back-half 2016 reality formats not performing as well as the network would have liked (The X Factor, Zumbo’s Just Desserts) Seven seems to be focusing content spend on tentpole drama miniseries on famous Aussies. “We are giving Dancing with the Stars a rest. Some of those come with very high price tags and we have to run the ruler over them very carefully in cost-benefit analysis, asking if we really think we can get the best value from that or another genre. Ross revealed that of the four miniseries, Hoges: The Paul Hogan Story will screen next February. Two genres that Seven has identified as being ripe for further exploitation are property and true crime. “Aussie Property Flippers is in the same space as House Rules. We see the new one as being complementary to that. Full details of all the Seven programming announced last week here.